10 contemporary luxury villas – Balinese conception, built in the middle of a beautiful island, GILI AIR, not far from Bali. Slow is a concept, based on the slow spirit (slow cooking, slow moving, slow stretching), a unique way to get back sense of the essential value of life. Three Belgian friends, Christian Lechien, architect, Dominique Pissoort, advertising consultant, and Julie Thonnard, dive instructor, fell in love with Gili Air and decided to create a small holiday village where each villa has his own swimming pool, a personal program of activities, discovering all the opportunities of the island: diving, snorkelling, kite surfing, swimming with the turtles, yoga, Pilates, Zumba lessons, golf, trekking, volcano climbing. A personal home cooker is available for charming dinners in the villa, away from noise and traffic. Gili Air, 2 km long, a fabulous place for holidays with or without children of different ages. Each room offers the same comfort: one or two bedroom villas with terrace, swimming pool, kitchenette and office space, comfortable sun beds, lovely coconut garden. Particular care to the quality of the beddings, the home stylist Valérie Barkowski has added her touch of originality with a predominant color selection of orange, grey, red, green, bordeaux or black. Choose your holiday color! Here at Blue Marine Dive Resort we can accommodate all your diving needs be it courses, recreational diving, enriched air diving or snorkeling trips. We offer a full range of PADI dive courses from beginner to Divemaster and professional levels and can offer you a range of facilities to make your trip as relaxing or as active as you desire. We have experience operating on Gili Air since 1999. This enables us to offer our guests amazing diving experiences. With offices on Gili Air and Gili Trawangan, Blue Marine Dive Resort can now tailor your trip around all the Gili’s. When diving with Blue Marine you will experience a very friendly atmosphere and feel part of the team. All our diving is planned in small groups making your dive experiences more relaxed, fun and safe. Your experience starts here ! Relax and rejuvenate with your students on a beautiful tiny little island, not far from Bali, called Gili Air. On this eco- island, no motorised vehicles are allowed. Enjoy the peace and quiet of an island that is free of traffic. Allow yourself to lift your spirits, and rejuvenate both body and soul. This getaway includes detox, yoga and a healthy menu for your radiant comeback. Designed by the architect Christian Lechien, the spa at Slow Villas adds a wellness appetite to the villa complex, which is essentially designed for you to recharge and fully relax: three massage rooms, a bath for relaxation and a pilates/yoga studio. 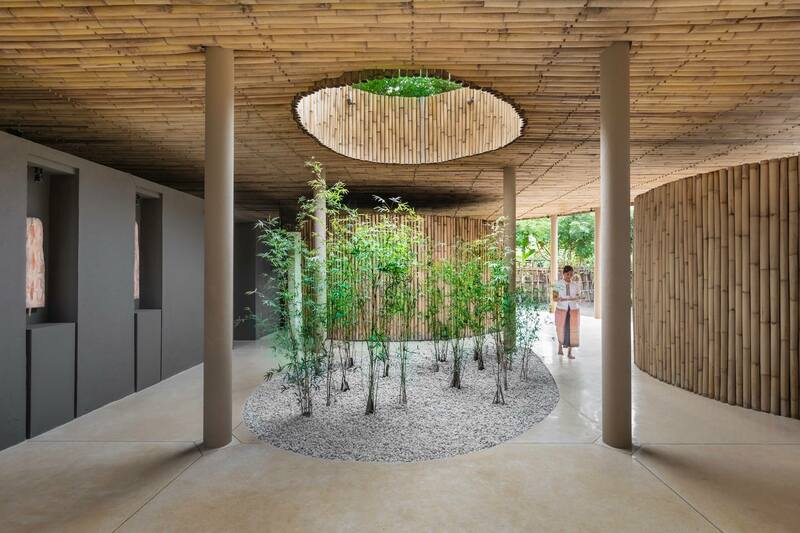 The SlowSpa’s architecture is inspired by the round curves of the island, making you think of a bamboo cathedral. The central window adds air and light to the whole ensemble with gentle curves. The peaceful feeling and the silence are supporting the architecture that’s built around the natural elements, thus recalling Slow’s philosophy. The treatments: massages, facials, treatments for hands and feet, and therapy through movements, respond to our belief at Slow in relation to wellness. For SlowSpa’s signature treatments we use products that are natural and alive, especially fresh aloe vera cultivated on-site.